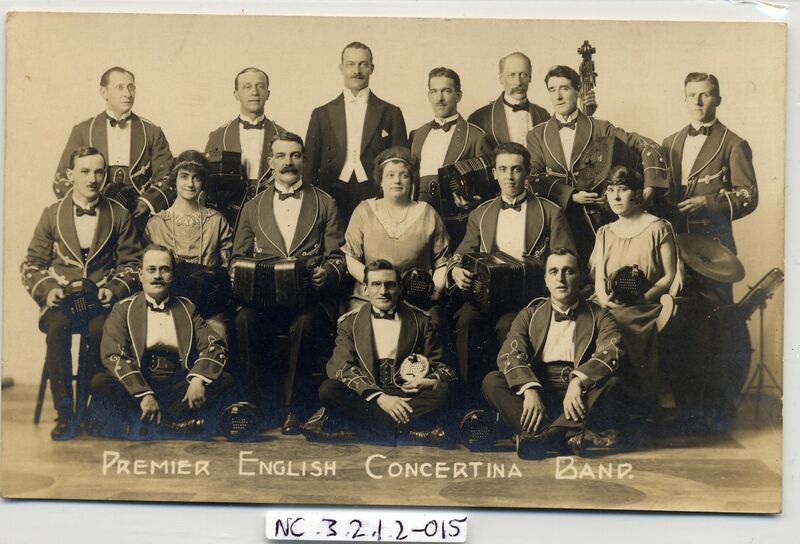 Full Description: A sepia photographic post card of the "Premier English Concertina Band", the sixteen band members in smart� uniforms (the conductor in evening dress, the three ladies� in long dresses. 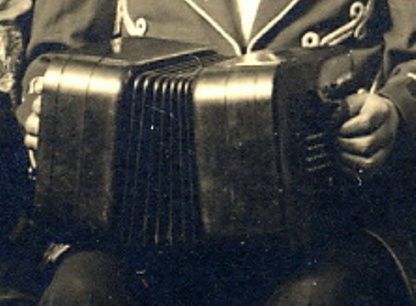 � Their instruments all appear to be of Lachenal manufacture, with at least four large bass instruments.� On the other images of the Premier Band in the Collection, Item NC.3.2.1.2-012 is an earlier line-up, with many basses, plus drums and a concert Harp;� Item NC.3.2.1.2-002 features the same players as� NC.3.2.1.2-012 , but the card bears a "Lachenal & Co" promotional address beneath the image. NC.3.2.1.2-008 also has this promo feature.